Lately winged stamps have become the crowd favorite. They simply need to be coated with eyeliner and stamped in the right spot. You cannot ask for an easier solution. This method saves up on time and effort. There are also variety of stamps available and diy methods to create your own stamps. Get to stampin’! 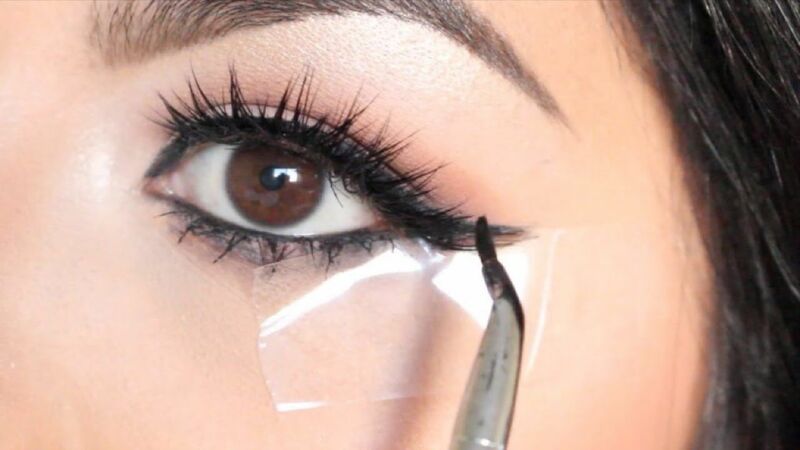 Who knew taping your eyes would become the secret to perfect wings? 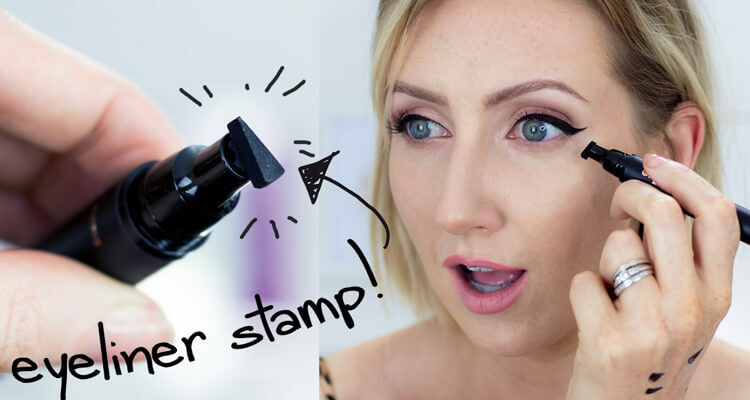 These days stickers aren’t only glowing stars and cartoon figures.Thanks to innovative makeup creators we now have Eyeliner Stickers! These stickers come in a pack of 5 or 10. They are usually the same or different design. Pick your favourite, place it on your eyelid, apply a damp cloth to wet the sticker and there you have it. Freshly applied eyeliner and zero effort! Running late? Or need a quick eyeliner for a last minute date? 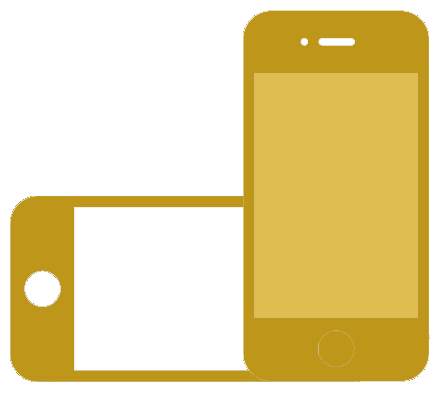 Stencils are the perfect solution for you. Stencils are reusable and extremely easy to handle. 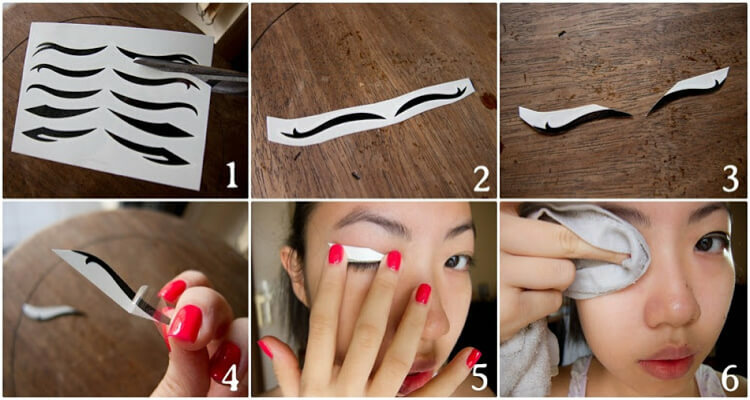 Just place the stencil according to the instructions and start applying eyeliner or eyeshadow in the given area. 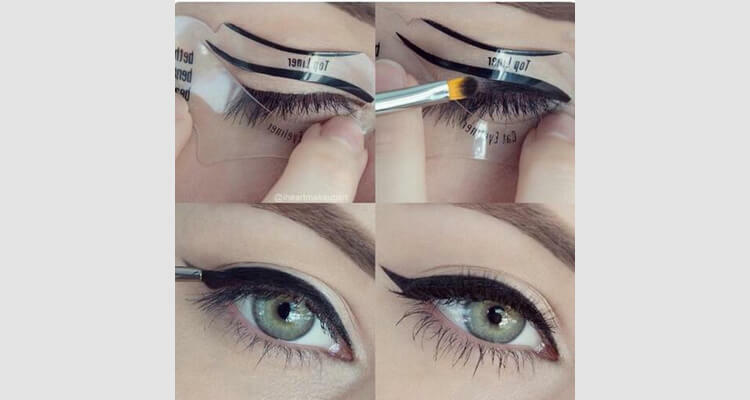 Once you remove the stencils you will be left with the perfect winged eyeliner. If you’ve had enough practice to go freehand with the winged liner, we commend you. But beware of smudges and wipe aways. Make sure you have your earbuds handy. 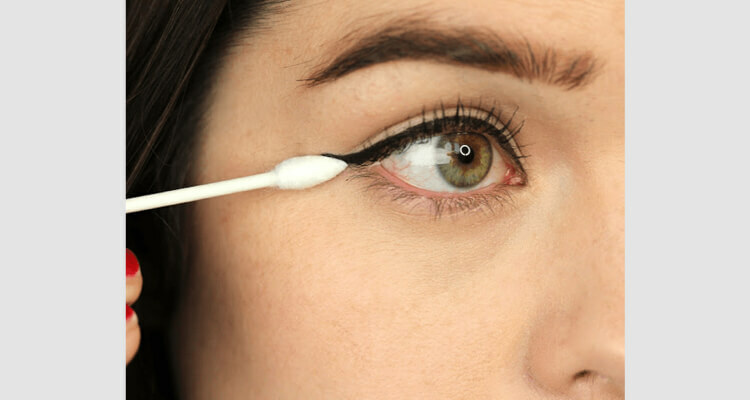 Earbuds dipped in makeup remover act as perfect tools clean and create a perfect wing by wiping away the mistakes. This prevents you from having to wipe off your entire eyeliner. Concealer is usually used to cover up spots and dark circles on your face but it is also extremely helpful to cleanup and perfect your winged eyeliner. Simply apply your eyeliner and grab a small and flat brush to apply the concealer. Swipe it right next to the eyeliner wing to create a clean and perfectionist look. You’re set to conquer the day!